Congratulations to The Summer Set who's stunning new album, Legendary, debuted at number 53 on the Billboard 200 this week. The band's third studio album also landed the number 12 spot on the Billboard Independent Albums chart. 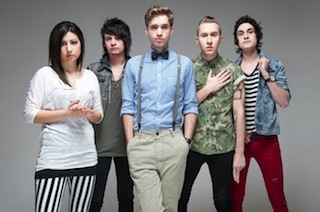 Don't forget, The Summer Set will be spending their summer of the 2013 Vans Warped Tour in support of, Legendary. All dates and ticket information can be found here.